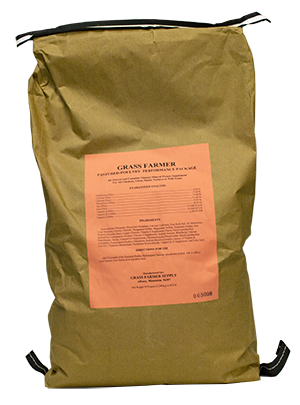 Add 50 pounds of the Poultry Pre-Mix per ton of feed. OK to offer a small amount free-choice or to top-dress feed. We highly recommend that producers offer our NB PDQ in the water for the first week or two of life or as soon as the birds arrive. This mixture of powerful immune tonics, probiotics and detoxifiers is also recommended if there is increased stress, or any risk of exposure to viral or other infectious disease. We also recommend the addition of our Desert Dyna-Min Clay to every ration, just a few pounds per ton provides extra protection from pesticides, mold mycotoxins and even heavy metals that may be present. We highly recommend that all bird operations begin offering our Golden Valley Raw Apple Cider Vinegar (ACV) to the water or feed every day, year-round, for all birds.